With less than six hours remaining in 2011, I’m forced to think about everything that happened this year. I cried when 2009 and 2010 were over. They had been such pivotal years in my life. The birth of a child. Graduation from Boston College. And all the other stuff, too. But this year, I cannot wait for the calendar to change. To send 2011 on its way. To usher in a year that will be good for all of us. This time last year, Justin was telling me how difficult 2011 would be. He wasn’t happy in his job. He had what seemed like a thousand classes to finish his MBA. And I tried to dismiss it all, desperate to convince both of us that 2011 would only bring wonderful things. And it did. It brought Justin a new job where he can work from home. It brought his degree a semester earlier than we thought – congratulations are in order, as he “officially” graduated yesterday! We had extended time with our family – a cruise with Halaree and Uncle Hunter in April, several weeks in Kentucky, Halaree’s trip to Boston in September, the Bourbon Chase, and a family Thanksgiving for the first time since 2004. But 2011 also proved to be the hardest year either of us has yet to face with the very sudden death of Augusta. Facing a loss that neither of us was prepared for. Learning about the new depths our relationship would reach and finding out how we dealt with our first crisis. And although we weathered our greatest crisis, something good has come from it. It brought us closer together, renewed our need and love for each other. Reaffirmed that we made the right decision in choosing each other. Now that we are facing a new normal, we are doing our best to look forward to 2012 and leaving the pain of sadness of 2011 behind – careful not to forget the lessons it has taught us. 2012 will be a year of creating family memories, with a trip to Disney World scheduled next week. It will be a year of new jobs and moving closer to home – keeping our fingers crossed on that one. It will be a year of health and happiness (my goal is to lose 30 pounds and run a marathon over Memorial Day weekend). And now I leave you to go ring in 2012. 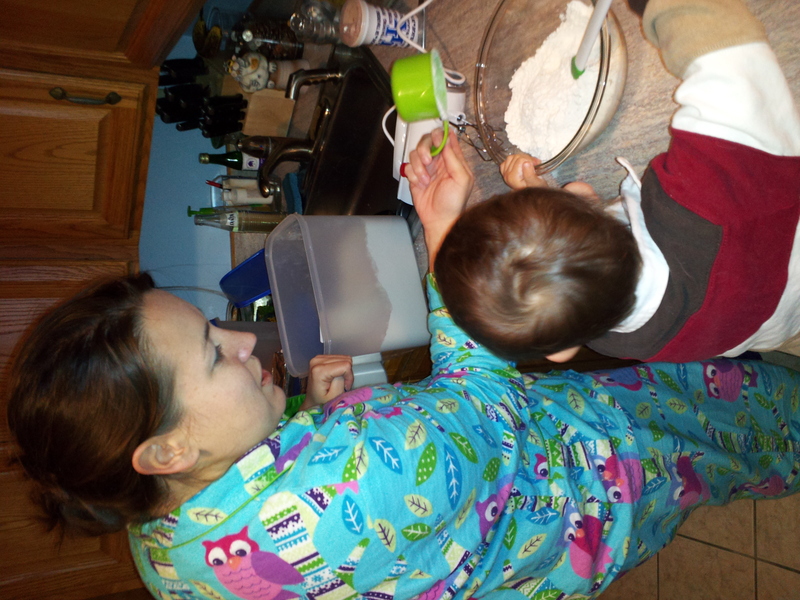 We are dressed in our best pajamas and ready to take Robbie to his first New Year’s Eve party. After all, what better way to bring in a new year than with a few of your closest friends, some homemade pizza, and your pajamas? Look out 2012! Here come the Mannas! I have been so excited for Christmas, which brings with it a series of conflicting emotions. After all, with all the personal turmoil, how could I be excited about anything, much less Christmas? But, on the other hand, with a two-and-a-half-year-old who talks excitedly about Santa and jingle bells and presents and Merry Christmas Trees, how could I not? It would be like robbing him of the bet part of being a kid. Christmas morning I wasn’t sure what to expect from the young sir. He ran downstairs and headed for the tree. There were bets on what he would play with first. Would it be the Go Cats basketball? 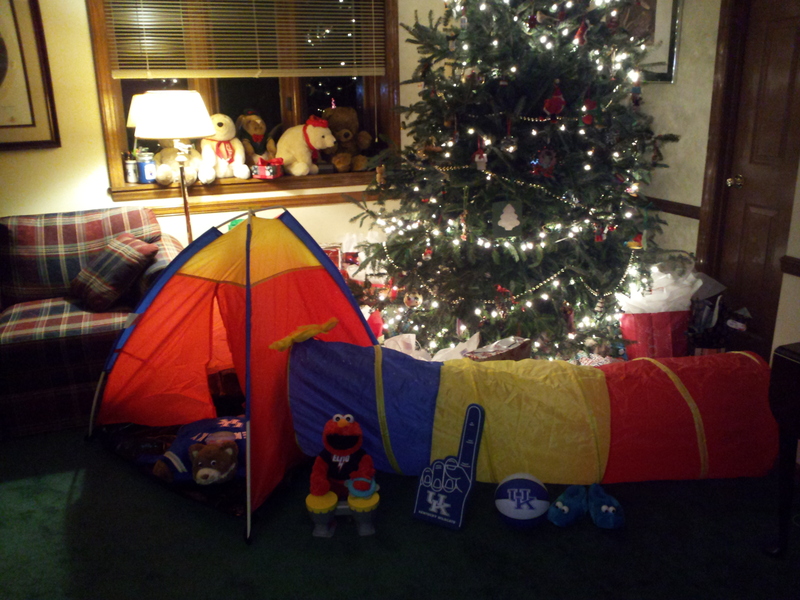 The tent with attached tunnel (that Santa broke during assembly…)? The Go Cats pillow pet? Rock ‘n Roll Elmo? Cookie Monster Slippers. No. Definitely not. It would be the huge Go Cats foam finger. How did he even know what that was for?! 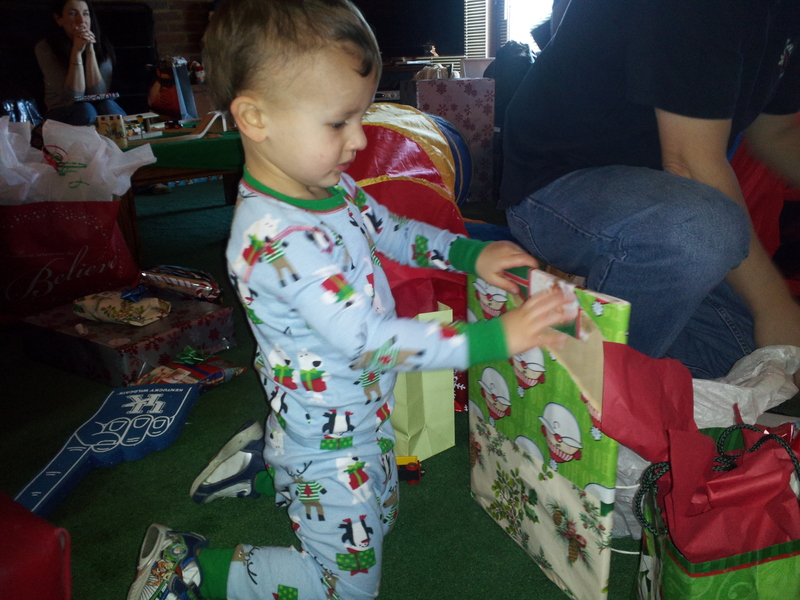 Robbie tore through presents – some that were his and many that weren’t. The best reaction, though, came when he tore the tissue paper out of a gift bag, revealing a Go Cats sweatshirt that is probably a size or two too big for him. Pumping his fist in the air, Robbie let out a loud, “YES!” and insisted on wearing the shirt immediately. Are you kidding me? Elation over a sweatshirt? I love it! And, since we all know how embarrassingly behind I am in blogging, I’m going to have to be lame and blog through pictures. 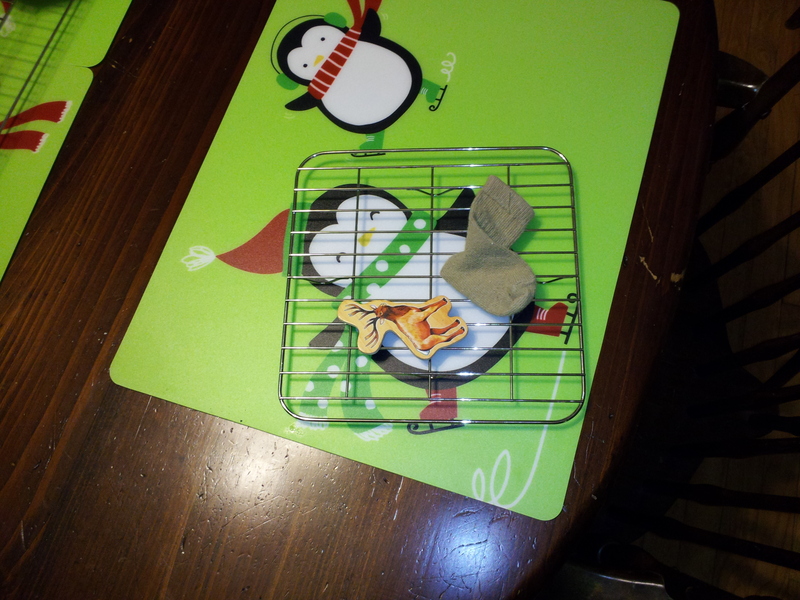 Eventually, all the present opening got Robbie a little hot. So, naturally, he stripped down. He did wind up all the way down to his diaper, then insisting on wearing his Go Cats pants, sweatshirt, and hat. Justin and I have spent the past four days trying to move. We were in Murray Tuesday and Wednesday and then working to close up her apartment yesterday and today. And now. Now we are finished, and I’m just not sure where to go or what to feel from here. Relief that it’s all finished? That everything is safely in one place? That we (particularly I) didn’t break anything? Yes, absolutely. Devastation that it’s all real and final? More than I ever imagined. Moving Augusta wasn’t supposed to be like this. It wasn’t supposed to be because she wasn’t here anymore. It was supposed to be to a house. To a place where we could have family dinners and enough room for Robbie to run around. To a place with enough room to display her beautiful dishes. And so, this afternoon as we had everything out of the apartment and stood there for one last time, I did the only thing I could. I sobbed. For the finality of it all. For everything that wouldn’t be. I don’t feel any better. I don’t feel any worse. I am still, as I feared, numb. But, perhaps, as we close these chapters, the numbness will fade and I will begin to remember my life and how to function. Eventually. 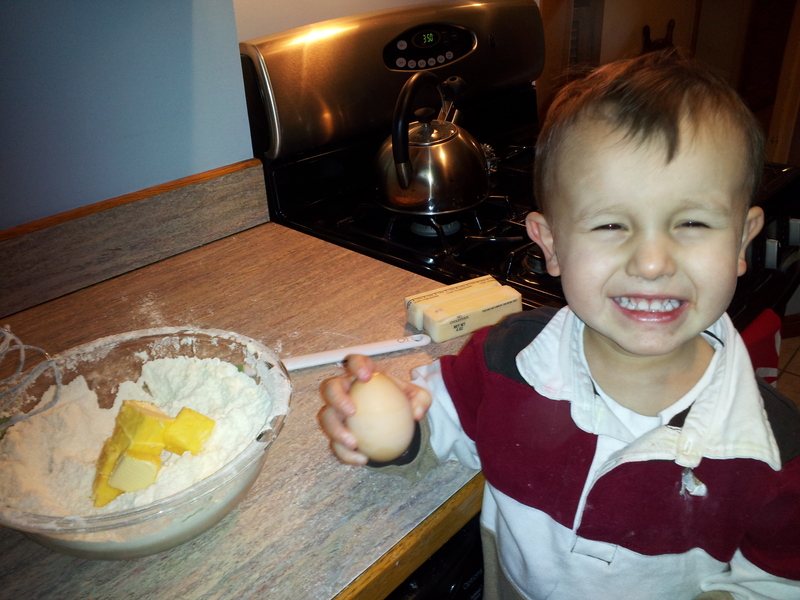 Back in the summer, CaCa proved to be a kind and patient soul when he introduced Robbie to baking cookies. 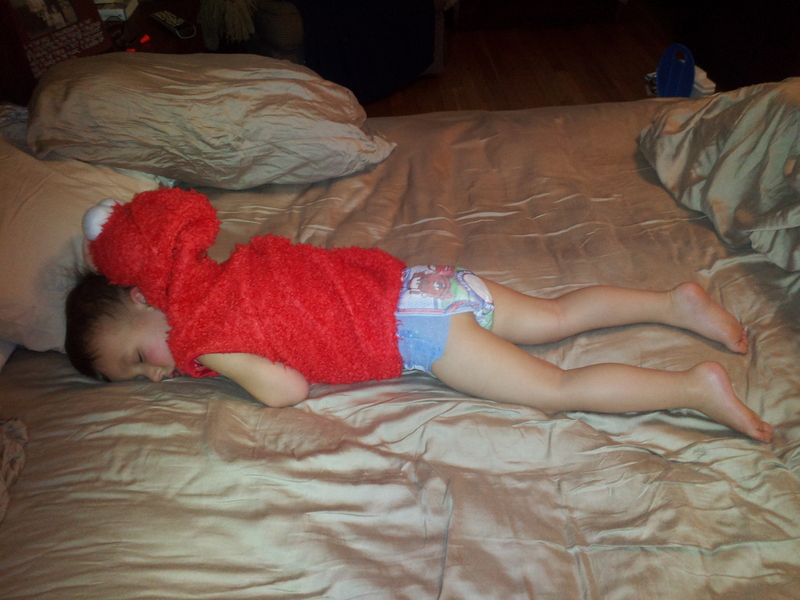 CaCa didn’t care about any messes, and Allie dutifully snapped pictures. I, however, have a very difficult time relinquishing control at any given time, particularly if it is going to result in any sort of mess or deviate from the way I expect things to go. Enter the yearly Christmas cookie making… It’s supposed to be about family and memories and spending time together – not about having perfect cookies. Right? Surely it’s more important that Robbie have the fun of cookies without the added pressure of my need for them to be perfect. And, as difficult as it was for me, I gave up control. 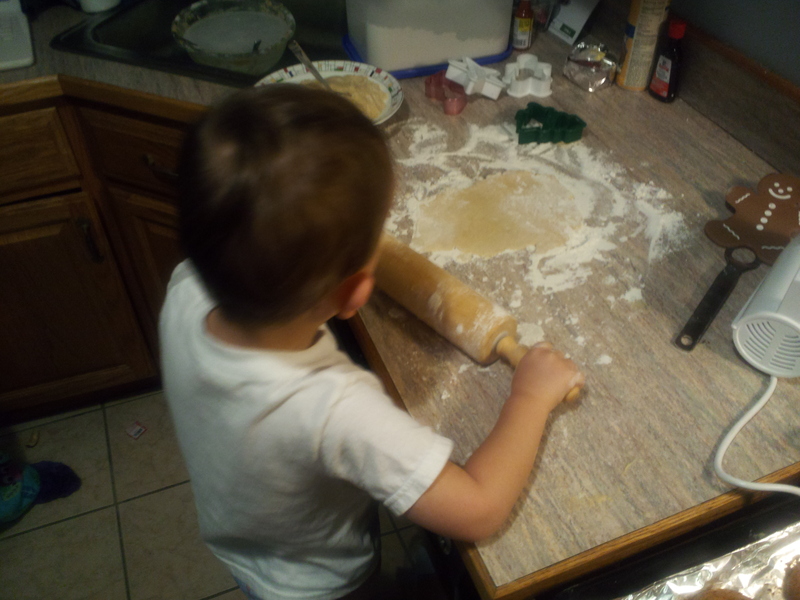 And so Robbie dumped in the flour – and sugar and salt and, well, anything dumpable. And he broke the eggs. On the counter. But they slid pretty easily into the bowl. And the shells practically came out of the mixture on their own. Yes, there was a mess. Bigger than I would have made. But you know what? It cleaned up pretty fast. 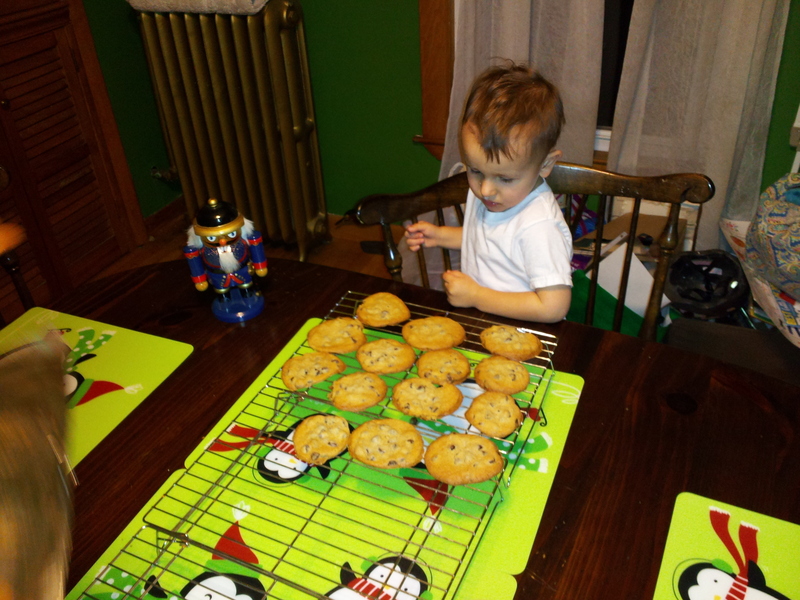 And Robbie thought baking cookies with Mama and Daddy was pretty incredible. The even tasted pretty good to boot. Almost looks like the real thing, doesn’t it? So, I mean to blog. I really do. Every morning, I think about how I’m going to do it; I’m going to finally get caught up. And maybe Robbie even does something blog-worthy. But then, the end of the day comes and I’m just too tired to do it. To emotionally drained to function and be able to share anything with anyone. And then I go to bed, only to get up and do it all again the next day. I know it gets easier. And, to some extent, it is. I can wake up in the morning and get through parts of the day without thinking about how difficult the past four weeks have been. Exactly four weeks, actually. But then something happens. And I cry. Or Justin goes quiet (his equivalent of crying, most days). Maybe I find a receipt. Or think about what we were doing this time last year. Or Robbie does something that I wish I could call her about, even though that’s not something I usually did. And then I get upset because I’ll never have the opportunity to do it. Today was all of those rolled up into one. Justin and I traveled to Murray, Kentucky, this afternoon (following a four-hour SCREENING interview – holy cow! – in Louisville). We stopped at the bank where Augusta had a safe deposit box, which we still can’t access. And all we wanted to do was call her to see if we were wasting our time. We still don’t know if there is even anything in there. Or when we went through her storage unit and Justin finally found her jewelry box. The one he spent hours looking for over the summer. But we couldn’t tell her. I know that it will get easier. It has to. But I think even the getting easier will be so difficult. If that even makes sense. And now, as a first step forward, let me relive the past week of my life. After all, it was Christmas, something we will most certainly want to remember. Robbie has been talking about Santa for days. Weeks, even. He points out every Santa he sees – on TV, on a balloon, lit up in someone’s yard. Robbie knows that Santa (‘Anta) says, “Ho! Ho! Ho!” and that he brings presents. 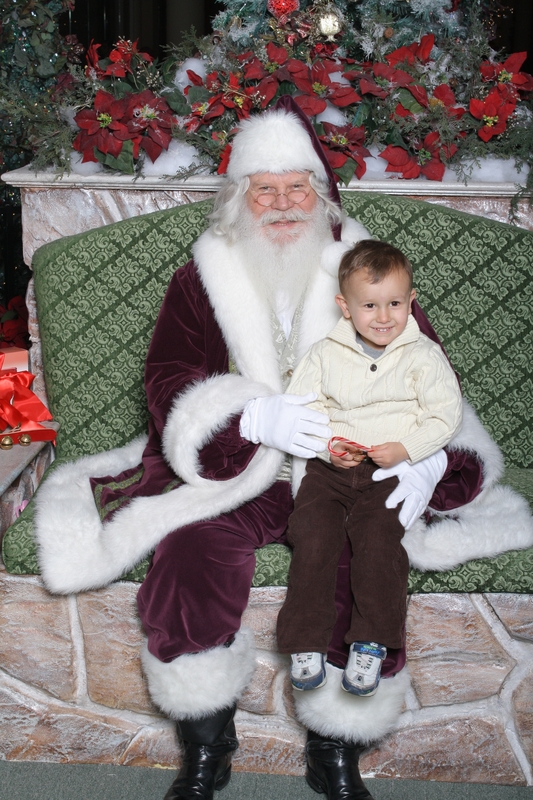 However, given Robbie’s ever-changing behavior, I wasn’t sure how our visit with Santa would go. 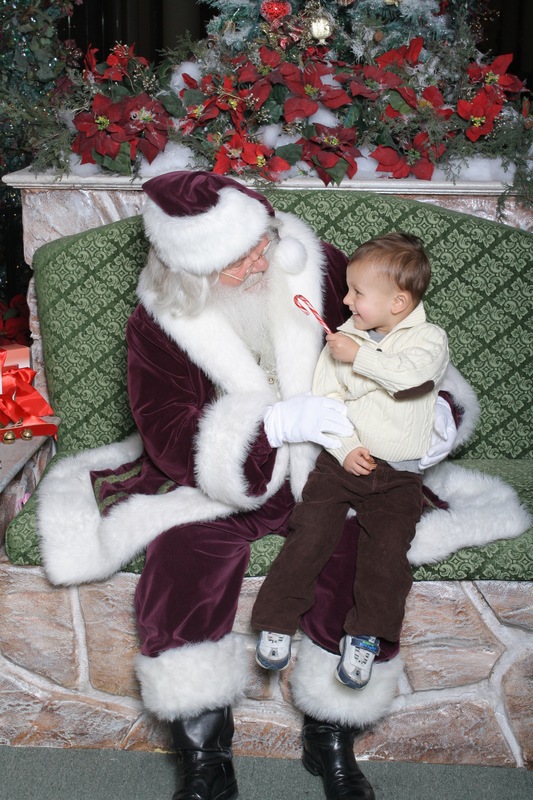 The first time we went to see Santa, Robbie did pretty well. He looks a little Asian in the picture, but, well, what are you going to do? However, moments after the picture was taken, he vomited all over me. Last year, he lost his mind as soon as he saw Santa. 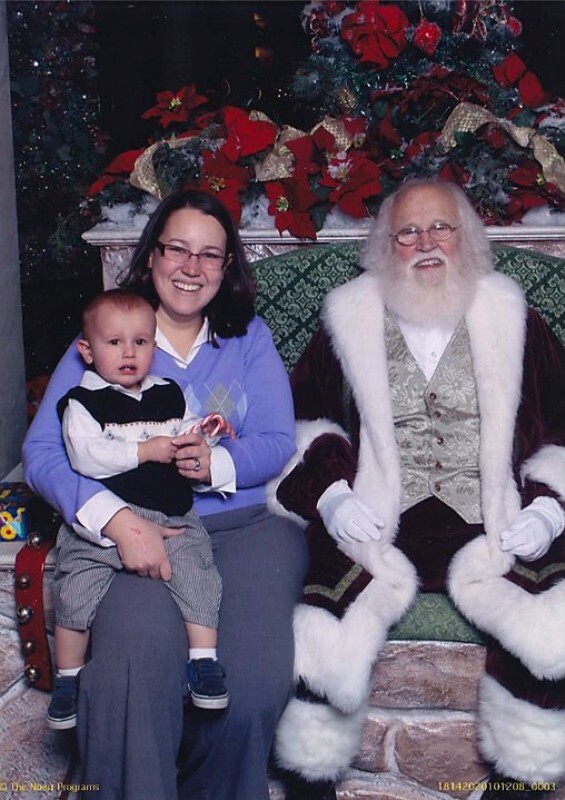 The picture is classic awkward family: I am sitting next to Santa in frumpy work clothes, holding a struggling and visibly unhappy child on my lap. Oh, and did I mention I’m hoping Robbie by his crotch? Classy. Given that Robbie had darted into Mass Ave. the day before, I wasn’t really holding my breath for anything spectacular. However, my hopes were somewhat elevated when Justin and Robbie pulled into the parking lot next to me after Robbie’s haircut and both were all smiles. When he got out of the car, Rob said, “Hair cut, Mom. Balloon.” I knew we were off to a good start bud didn’t want to get cocky. After all, that’s where novice moms go wrong. Our good luck seemed to continue when we got to Santa’s village and discovered only two families in front of us. Both were still conducting last-minute spit baths and let us go ahead of them. And then, without any fanfare, we were there. Standing in front of Santa. The real thing. Panicked that I had lost my chance at any sort of picture without having to be in it myself, I took Robbie back to Santa, explaining that he would need to sit on Santa’s lap. It might be important to mention that it was vital I not be in the picture this year. The fact that Robbie and I were wearing matching outfits – brown corduroys and cream sweaters – would only add to the awkward photo collection, and I wasn’t prepared for that. Robbie settled into Santa’s lap, a little wary of the patient man. In the first few pictures, Robbie looks like a deer in the headlights, unsure of how he wound up on this man’s lap. And then, all of a sudden, he realizes where he is. He’s with Santa. The real guy. This is his chance! And his face lights up. And there we had it – the perfect Santa picture. Or was it? A few seconds later, and Robbie was trying to feed Santa his candy cane. Robbie slid off of Santa’s lap, and Santa asked what he wanted for Christmas. I didn’t ruin the moment by mentioning the traffic incident from the previous day, so I helped my awe-struck son share his Christmas list. “Cars,” I prompted. “Elmo, planes.” Robbie dutifully repeated each one, never taking his eyes off of Santa. Then, I asked Robbie if he could show Santa how he says, “Ho! Ho! Ho!” Very, very quietly, Robbie whispered the words. I had a fabulous babysitter today. Could have done anything I wanted. Do you know where I went? To the mall. To sit and stare at holiday shoppers. For an hour. I couldn’t think of anything to do, and I didn’t have the energy to wander the mall. I’d hoped to maybe find my Christmas spirit – or even just a little enthusiasm – but it remains at large. I’m sure it’s a combination of things. Justin’s been gone all weekend, so there’s no one else’s grief to monitor. There’s time for me to begin to sift through my feelings. To begin my own grieving process. While we were in the initial stages, I was able to focus all of my attention on planning and helping Justin sort through is own emotions. It was so much easier that way. But now, I’m left to my own thoughts until Justin comes home tomorrow morning. 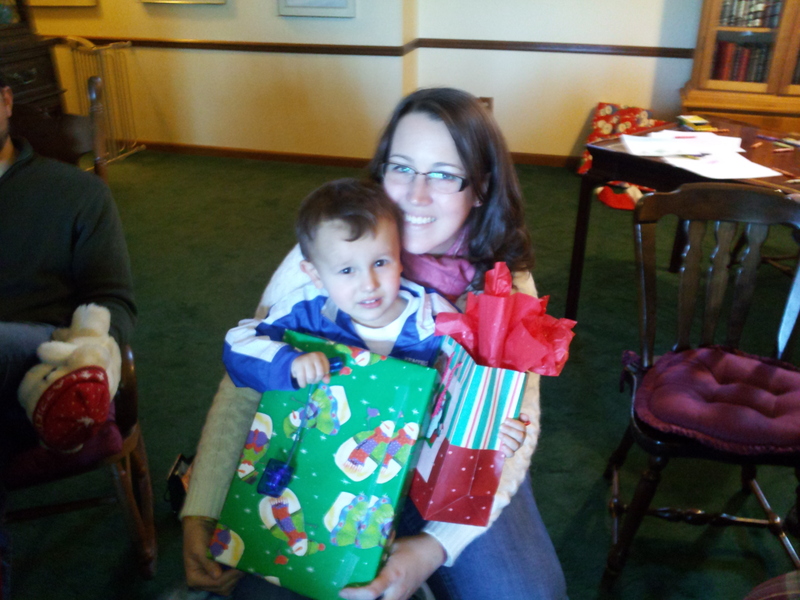 I think of last Christmas and how we decided to have our first Christmas morning at Augusta’s house. We woke up and went over, still in our pajamas. That was going to be our tradition. And now it won’t be. Maybe that’s what’s settling in. How final and permanent it all is. How there will never be another Christmas morning with Grandmama. You know Robbie can say her name now, right? “Grandmama.” He was never able to say it before . It just came out “Mama”. He learned to say it just before her funeral. And how happy it would have made her to hear him manage to say it. I was convinced it would never come out right. But it did – just not in time for her to hear it. But that’s what life is, isn’t it? Constant change. Timing that’s either perfect or too late. Losing someone close to you, wishing you’d had more time. Wishing you’d gotten to take that family trip to Disney World to really fully unite you after so long. Praying for forgiveness for the times you were petty and didn’t go the extra step. And the little bit of peace when you feel like you have it. So I have work to do. But I’ll get there. And it’ll be even easier when Justin is here. Robbie’s had a rough few weeks, particularly last week when he didn’t understand what was going on around him or why Justin and I weren’t there. Getting him back into a schedule and where he can “play kids” has been good. But I needed time to connect with Robbie. Time just for him to do fun, frivolous kid stuff. And, with Justin out of town for the weekend, Friday night seemed to be the perfect time to do it. When I picked Robbie up from daycare, I told him we were going to go to dinner and to see the penguin movie. I probably should have waited until we were ready to go to tell him; he didn’t stop talking about it for three hours! Now, keep in mind that Robbie has never successfully sat through a movie. Ever. Well, except for The Hangover. But he was only three weeks old, so that doesn’t really count. Given his behavior over the past week, I was hoping we would make it through an hour. When we pulled up to the theater, I heard a little voice exclaim, “Oh, boy! Dancing penguin movie! ‘Corn, Mom! ‘Corn!” I couldn’t hide my grin at his enthusiasm, impressed that he remembered popcorn. He danced around while we waited in line for tickets, afraid that I might forget his popcorn. Please note, he had saved room from dinner, not even eating a chicken nugget because he remembered that he wanted ‘corn. We made our way into the (thankfully) nearly empty theater and Robbie picked out our seats, climbing right into his like a big boy. He got his jacket off, sat back, and waited for his kiddie combo. And then he watched the movie. All of it. He ate his popcorn, one deliberate piece at a time, and explained to me what the penguins were doing (mostly dancing, singing, swimming, and fishing). I’m not sure what I watched more, the movie or Robbie. Sitting there all grown up, his eyes glued to the screen. As we left the theater, Robbie gave me a hug and a kiss and said, “Mom, fun date.” And it was. It was absolutely perfect. Now we’re cuddled up in bed, watching The Muppet Christmas Carol. It’s important that he be introduced to the best Christmas movie at an early age. And I figure that on a Mommy Date Night, it’s OK to stay up late and fall asleep to a movie. Right?